Ariadne's Thread | Wandering through the educational labyrinth. Wandering through the educational labyrinth. What can we learn from high performing education systems? “…a teenager named Ji stabbed his mother in the neck in their house in Seoul. He did it to stop her from going to a parent-teacher conference. He was terrified that she’d find out that he’d lied about his latest test scores. I was fascinated by this tragic story and wanted to learn more about an education system that was so intense and high stakes that it could push a child to do something so awful. It made me feel very uncomfortable. South Korea is a famously high performing system, and the students are known for being relentlessly hard working. In many ways, it sounds like they have got many things right that we have got wrong. Although we want our pupils to be motivated and to achieve more, we don’t want our system to go as far as South Korea has. The pressure on kids in South Korea is obviously far, far beyond what is necessary for them to succeed academically, and in many cases is detrimental to children’s wider development. Most would (quite reasonably) be shocked and appalled by the story above, and some might think that such cases are grounds for discrediting systems like this entirely. But my intuition is that we would be unwise not to learn anything from this and other high performing systems worldwide. As we all know, South Korea is one of the top performing countries on the PISA tests, up there with China and Japan. A closer look at these three system reveals that in many ways, they are all very similar. Each of these countries has a very high stakes exam at the end of high school: in South Korea there is the ‘Sooneung’, in China, the ‘Goakao’ and in Japan, the ‘Shiken’. All three exams happen once a year, usually lasting up to nine hours. Every candidate in the country will sit the same exam on the same day. The stakes are high for students in all three of these countries: the result they obtain will determine which university they go to. There are no options to retake, be entered early or take a modular route. Everything hinges on one day, one exam hall, and one ferociously challenging exam. So what can we take from these systems? What is the most appropriate summary of the poem? -it is representing the paradox of life through self-deprecating expression. -It emphasises the meaning of cycles by repeating the same sentence structures. As you can see, this is very difficult. Just the vocabulary in these options is complex enough to throw you. The options are also very different, so they reveal what the pupil did understand from the poem even if they select an incorrect answer. For example, a pupil may have identified that the poem was a monologue, but might not see that it was not revealing the author’s own feelings. It is interesting that even the interpretation of poetry is reduced to multiple choice. Perhaps this isn’t the best way of assessing interpretation, but it certainly does give us a very good indication of the depth of a pupil’s understanding of the poem. Perhaps a synthesis of this approach and essay writing tasks could provide some balance here. Exam days in South Korea, China and Japan are very different to exam days in the UK. Parents, families and other supporters line the streets and cheer the candidates on as they enter the exam centre. During the listening section of the English exam in South Korea, all planes are grounded so that they do not fly over and disturb or distract candidates. Police and taxis offer pupils free lifts to school, and business and trading starts one hour later than usual to limit the rush hour traffic. This might sound crazy, but what it reveals is a culture of understanding of the importance of these exams. Everyone values education. Everyone knows that these students’ futures depend on the exams they do. In many ways, particularly in the current climate, our students’ exams are just as important. For those that want to go to a top university or pursue a highly competitive career, exam results are everything. But this is not the case for all pupils. Many of our pupils do not take exams seriously at all, and many parents don’t, either. We could debate for hours about whether or not we should be testing pupils in the way that we do, or the value of different types of exams, but the fact is that results are important for future choices and opportunities. If our culture truly embraced and understood the impact of results, perhaps our pupils might be more motivated to succeed. 3. Pupils work hard. Really hard. Not only do pupils in these high performing systems take exams and their results very seriously, they work extraordinarily hard for them. Much of the work they do is carried out after school hours, with many pupils attending private ‘Hagwons’ or other expensive tutorial sessions. This model is clearly not sustainable: some might even argue that the success of these three countries is owed largely to the additional tuition that pupils get outside of school. Nor is it something that we would want to implement here, but again, it reveals something interesting about pupils’ work ethic. If a pupil does not do well in a test in South Korea, China or Japan, they do not blame the teacher, the test, the circumstances, their background or anything else. They blame themselves for not working hard enough and they go back, learn it again, and do better next time. Our kids could learn a lot from this attitude. 4. The curriculum is consistent. In the UK teachers spend hours planning lessons, often staying up until the wee hours cutting up card sorts and colour coding differentiated work sheets. This is all very lovely and admirable, but we operate under a strange culture of trial and error that results in huge inconsistencies from class to class, teacher to teacher and school to school. Teachers have autonomy over most aspects of what they do, critically, in terms of what we teach and how we teach it. Some teachers might teach well-planned and sequenced units of work that embed knowledge and skills and help pupils to remember key concepts; others may not. In China, South Korea and Japan there are standardized units and textbooks that everyone uses. Planning is no longer the responsibility of the individual classroom teacher, but is outsourced to people who are experts in the field of curriculum planning. Instead of drivers being asked to design their own engines, engineers do it for them. Again, many reading this might dislike this intensely. There are undoubtedly lots of reasons why teachers would be reluctant to adopt such an approach, but it would ensure consistency at the very least. What can we learn from these systems? Do we want to copy what goes on in these top-performing education systems? Probably not. Anecdotally, a Chinese friend of mine informs me that employers in China are growing tired of young people’s poor social and team working skills. They know lots, and work hard, but struggle to work effectively with others. Don’t worry though; I’m not about to dust off the De Bono hats just yet! We still need to ensure that pupils have received a rigorous academic education. After all, in education, mastering appropriate content must be paramount. If you judge a system purely on the basis of its ability to make kids work hard and learn lots of stuff, then the countries I have discussed have cracked it. In terms of the wider issues that education aims to address, such as pupils’ social development and other such ‘soft’ skills, well… I don’t think the East necessarily has all the answers. Many thanks to In Yong for translating the questions from the Sooneung for me! How could the curriculum be improved? Last week I argued that the English language exam, which constitutes 60% of pupils’ final grade in GCSE English, is fundamentally flawed. I believe this is the case for two reasons: firstly, the exam is dependent on a skills-based curriculum. As I argued in the post, the irony of this approach is that pupils rarely acquire skills this way. Instead, the structure of the questions in the exam encourages us to teach pupils a process. After spending 60% (or more) of their time preparing for such an exam, pupils are unlikely to come away with enduring knowledge and in depth understanding of the power and beauty of the English language. They will know very little other than how to construct a PQE paragraph or find the main idea in a text. I call this ‘ironic’ because learning how to write a PQE isn’t a skill in itself. So not only do pupils come away from their GCSE English language course knowing hardly anything about the English language, they don’t even learn the skills the course set out to teach them. Secondly, I argued that the poor quality of texts chosen by the exam boards means that children are wasting time studying transient, supposedly relevant media texts instead of being shown the power that words have to inspire people and initiate change in the world. After all, isn’t that what non-fiction texts do? When used well, they influence, they inspire, and they alter mindsets. Figures like Mandela, King, Churchill, and Elizabeth I: all of these people did this using non-fiction as their medium. Wouldn’t it be wonderful if children could get to grips with the art of non-fiction writing and speaking? Wouldn’t it be great if they not only saw the potential power of language, but the impact of its various uses in centuries past? In order to allow them to see the English language in all its glory, they need to see it at its best. 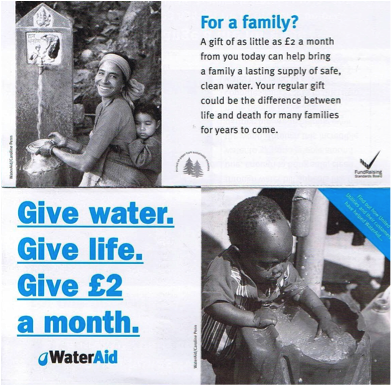 I’m not sure a leaflet about a water charity can really do that, but I’m convinced that Gandhi, King and co. can. And yet, the status quo advocates the analysis of advertisements and the production of posters: I really struggle to understand why anyone thinks this is okay. The new curriculum is promising. The government have clearly identified the issues I outline above and are acting on it by stamping out such nonsense from the curriculum entirely. But I don’t think this is enough. Even with the best texts there is a chance that the skills-based approach of teaching mundane and ostensibly transferable processes will seep its way back in. Although it would be far better than what we currently have, this is still not what we really want. In order to rid the curriculum of these over-rated, ineffective practices, and to improve it so that children learn what we want them to learn about the English language, we need to change the way we assess it. As I said last time, teaching to the test is inevitable. The test becomes the curriculum in every school- few teachers look to the national curriculum when planning schemes of work, and academies and free schools don’t have to refer to it at all, but every school, no matter how innovative, needs to enter their kids for an exam. Of course, the exam boards look to the national curriculum and choose content accordingly, but they still have some authority in designing their own question types and assessment rubrics. One of the claims of the AQA specification is that its ‘skills-based approach… offers flexibility’. In practice, this means that teachers choose the content they teach: some might choose Queen Elizabeth I; others might choose Nigella Lawson. But the flexibility of the specification is such that the choice of text is irrelevant: the mark scheme can be used to assess understanding of either of these texts. So even if the government does tighten up its control over the content we teach, the way it is assessed is still at the mercy of an exam board that has promoted a skills curriculum for several years. Is this going to change in 2015? We shall have to wait and see. 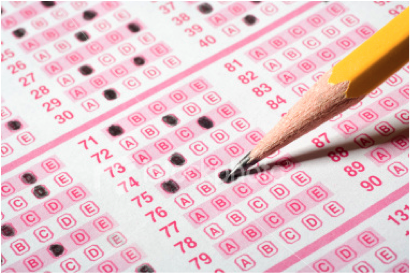 Teaching to the test is inevitable, so it is vitally important that we get the test right. What do we test and how? It seems that there are two key things that we want to assess at GCSE (aside from grammatical accuracy, which I will tackle in another post): knowledge and application. The ultimate objective is for pupils to be able to write coherent, accurate essays on the texts they have studied. We want to be able to see the depth of their knowledge and the extent to which they have internalised it. So instead of focusing purely on the skills (as the current assessment rubrics do), we also want to see what the pupils know. Therefore, before we can set kids off on a writing task, it only seems fair to test what they know in a clear and precise fashion. If we want them to write an essay on Oliver Twist, we need to make sure they know the plot, characters and context before doing so; otherwise, we are setting them up to fail. Several bloggers have been doing some thinking on how we can accurately assess this knowledge. I am a fan of the mastery model, explained at length here. The rationale for a mastery model is already out there so I shan’t repeat it here, but in a nutshell, the benefits of this model are threefold: it contributes to knowledge schemata; it builds enduring memory of the content; and the frequency of questions aids recall. It is a powerful tool for formative feedback for teachers, but it is also an extremely robust form of summative feedback. If exams tested using this model, teachers would be compelled to teach the knowledge that we actually want our pupils to learn. Many believe that a severe limitation of this model is the lack of challenge and access to higher order thinking skills, but as noted here, multiple choice questions can be extremely challenging if constructed carefully. Besides, as shown in this post, knowledge is essential for higher order skills: it simply cannot be overlooked and therefore must be tested using foolproof methods. Some of the world’s leading education systems use a mastery assessment model, and it is fascinating to see what this looks like in practice. After reading Amanda Ripley’s ‘Smartest Kids in the World’ I became slightly obsessed with the South Korean ‘Sooneung’ exam, and pestered a Korean friend of mine to source some papers from the Internet and translate the questions into English. There is much to say about these papers, so I intend to blog about them in more detail at a later date. For now, all you need to know is that the Sooneung offers a fascinating insight into the successes (and failings) of the South Korean education system. The British Columbia exams use a similar model, cleverly pairing mastery assessment with extended writing tasks. The mechanics of these two exam systems are fascinating, and next week I will describe in more detail what we can learn from them. In order to improve the curriculum, we must improve the exam. Improving the curriculum content alone is not enough. If we are to avoid the trap of teaching mindless processes to our pupils, we must ensure that the test requires teachers to focus on content in lessons. The skills-based approach that our current curricula are built on gives flexibility over content, but the pay off is a feeble accompanying assessment rubric, which encourages teachers to teach processes rather than content. The underlying principles of a better English curriculum are simple: introduce good quality content that builds cultural knowledge; ensure assessments test what we want pupils to know and the depth of their understanding. We must ensure that teachers are not forced to teach a process for answering questions in an exam. Exams should test the extent to which the curriculum content has been mastered and internalised by the pupils, rather than vague notions of the alleged ‘transferable’ skills they may have acquired. Next week I will post my thoughts on a few international assessment systems and will suggest what we could learn from them. Should we Compromise on Knowledge and Skills? Yesterday, the world awoke to the incredibly sad news that Nelson Mandela, one of history’s greatest leaders, had passed away. I read through the tributes on Twitter and the obituaries on various news websites as I ate my breakfast, and thought a lot about his legacy and what the world learned from him. On my drive to work I spent some time thinking about how I could approach it with my students during the day’s lessons. I was pleased to hear that the school would be holding a minute’s silence for him during the day, and that all staff had been given a small note to read out during tutor time. I started by asking all my classes what they knew about Mandela. Some of the replies I received were very worrying: “was he in Eastenders?” “He was the first black man in Africa.” “He was a terrorist”. The best response I got was “He went to prison”. I was shocked and appalled at the answers I received: how was it that these young people had made it to years 9 and 10 without having any real notion of who Nelson Mandela was? I’m sure I wasn’t the only teacher to be surprised by the tragic ignorance displayed by my students yesterday morning. And then I started teaching my lessons. First up, year 10 exam revision. They aren’t taking the English Language exam until the end of year 11, but with it now being much higher stakes than it used to be (it is now worth 60% of the final grade instead of 40%), we are prepping them early to give them the best chance of getting the best possible grade. We place a lot of emphasis on using past exam papers to teach the kids the skills they need to pass the exam. And so we started looking at an article about Amy Winehouse. I always find this extremely challenging. It doesn’t seem to matter how many times I go through the exam papers with them, they can still find themselves stumped when they come across texts they know little about. I feel a bit stuck. I don’t think that teaching to these tests is a good thing. I think that my pupils would be far better served by learning about some of the greatest leaders and thinkers to have walked the earth, to learn their teachings and understand how they overcame great barriers and made the world a better place. But we rarely do this. Some excellent teachers (both primary and secondary) do think very carefully about how students can get a balance between good quality content and processes for passing the exams. However, there is currently no system in place to ensure that all kids get such a balanced diet. As I’m sure most teachers would agree, the test becomes the curriculum in most classrooms. What we teach and the amount of time we spend teaching it will be determined by the test we are working towards. In principle, I think the idea of teaching to the test is fine, as long as the test is good. But the English language GCSE papers are fundamentally flawed. To my mind, there are two major problems with them: firstly, we only ever teach pupils a process, rather than any meaningful knowledge, and secondly, the test does not contribute towards their cultural literacy. The exam is underpinned by the philosophy that skills are transferable. The idea is that we teach kids a process for analysing or inferring information from a text and they can then reapply that process to other texts. This sounds perfectly plausible, but as several thinkers and studies have shown, this is not always the case. Skills, such as analysis, inference and evaluation aren’t transferable. They depend on knowledge. So what ends up happening when we try to teach these skills? We end up teaching a process, one that pupils can only replicate if they have the requisite knowledge. Such processes aren’t skills at all: students simply follow an algorithm to demonstrate their understanding of a text, and will often fall at the first hurdle. We have arrived at a situation where children can tell you in intricate detail how to construct a PQE paragraph, but think that Nelson Mandela was in a soap opera. Surely somebody has to stand up and say that something is amiss here. The nature of the questions in the English language exam means that we teach neither skills nor knowledge: instead we teach a mindless process. Last year, my year 11s really struggled in a mock exam despite the fact that we had practiced this process over and over. The article they were asked to analyse was about a drought, and several members of the class did not know what this word meant, leaving them completely stuck. There was no way any process of ‘finding the main idea’ or ‘making inferences’ would assist them in this situation. They had been made powerless by a lack of knowledge and an over-emphasis on the process required for answering the question. Aside from rendering students incapable in the middle of an exam, the focus on processes over content has other, more troubling ramifications. The content of the exam does not help to promote cultural literacy at all. E.D. Hirsch states that ‘to be culturally literate means to possess the basic information needed to thrive in the modern world.’ I am writing this post as a response to the tragic ignorance I experienced in my classrooms yesterday. It was heartbreaking to hear that my students had very little understanding of the things Mandela did; what he did for people in South Africa; his integrity and determination, his willingness to forego his own freedom for the sake of his beliefs and his country. These are vital messages, messages that our pupils need to know. It made me wonder what else they don’t know. It made me question whether they were ‘culturally literate’ at all, and if they weren’t, then somebody should be shouting from the rooftops that we need to do something about it, as it is ‘an unacceptable failure of the part of our schools, one which has occurred not because our teachers are inept but chiefly because they are compelled to teach a fragmented curriculum based on faulty educational theories.’ I wouldn’t call myself inept, but I would say that I am forced to teach to a test that is bad for my students. The opportunity cost that comes from spending time practicing a mundane process with a range of supposedly engaging texts means that we spend less time teaching kids the best ideas that have been thought and written. Kids get to read about Tinie Tempah, Michael Caine, Johnny Depp, Gordon Ramsey and Jamie Oliver, but rarely learn about history’s greatest leaders, or read the stories that have gripped and changed the world. Of course, these things do get taught in some classrooms, if the teacher has the desire to do so, but because this is not a part of the exam, many do not. There are countless children across the country that spend their English lessons applying the same processes to a series of different texts that pander to their teenage interests, teaching them virtually nothing about the people, events and literature that made the world what it is today. Joe Kirby wrote a splendid blog this weekend about the importance of not letting the ‘knowledge/skills debate’ go just yet. I can only echo his sentiments here. It is vital that knowledge does not get swallowed up in compromise. David Didau argues that “compromise is the refuge of the unprincipled”- and I agree that sometimes having strong principles and not being willing to compromise is okay. Our pupils are at the mercy of a poor curriculum that teaches them nothing but mindless processes, and our teachers are compelled to teach it for fear of not giving their pupils the tools they need to pass a content light exam. I don’t think this is good enough, and this is something that we should not allow ourselves to drop. The knowledge/skills debate may have been hanging around for a while, but until the children of this country are given the opportunity to be culturally literate and for the most disadvantaged to rival their wealthier peers, we should accept no compromise at all. Friday Period 5: Bottom set Year 10. Chair swinging, pen throwing, table chucking, saliva spitting, noise making, abuse hurling, note passing, face punching teenagers are the last thing any sane human being wants to be dealing with at the end of a hectic week. The bell goes to signify the beginning of Friday’s last period and in walk year ten: a monstrous thirty headed beast feared by all trainees, NQTs and those who forgot to suit up that morning. 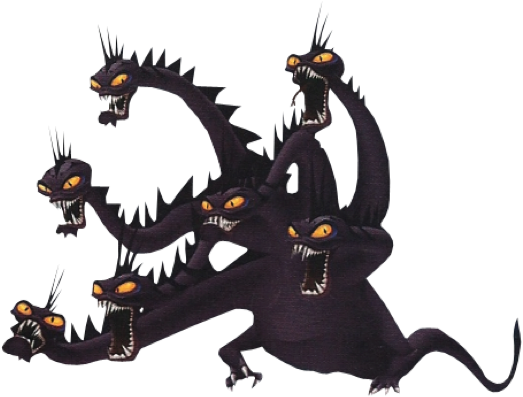 Managing a badly behaved class can feel like fighting a Hydra. Every time you deal with one incident, another two or three crop up in its place. Whilst you are busy asking James to spit out his gum, Jack and Jade have started throwing stationery at each other and Johnny is swinging on his chair and telling poor Jay to shut up and perform questionable acts on his mother. In this state, classrooms become utterly chaotic, teachers become mentally drained and demoralized and, perhaps most importantly, no learning happens. But, as we know, we have a responsibility not to allow behaviour like this to continue. Not only is good behaviour vital for learning, it is our duty to make sure that our pupils are taught how to behave. It may be hard to manage, but every time we allow a kid to get away with chewing gum, swearing at his mates or generally being uncooperative, we are telling him that it is okay to behave that way. And when they are finally unleashed into the real world, what then? Of course, any discussion about behaviour management often leads into a wider conversation about effective school leaders and systems. Strong leaders provide support for staff and make it easy to give out sanctions for poor behaviour. Weak leaders tend to say that behaviour is ‘the responsibility of the classroom teacher’, which effectively condemns the NQT to a couple of years of abuse until they can establish and refine their own structures. And that’s if they can put up with it for a year or two: many don’t, and frankly, who would blame them? However, let’s not dwell on the incompetence of those who should know better. I really struggled with behaviour management in my first and second years of teaching. I spent a long time reading and thinking about how best to manage the chaos in my classroom, tried lots of things out, failed, made mistakes and tried new things. Through all of this I’ve realised a couple of things. Firstly, behaviour management isn’t about you. If you happen to be quite good at dealing with behaviour, that’s not because you are some paragon of teaching virtue, parachuted in from teaching paradise to save the little darlings from a feeble incompetent. By the same token, if you are so terrible at managing behaviour that you might as well not be there (like I was! ), that doesn’t mean you should hang up your board pens and quit the profession, either. Behaviour management is not about you; it’s about the approaches that you use. 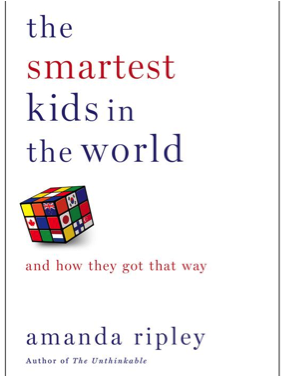 The ability to get kids to sit still and learn things, rather than being a result of an unquantifiable, innate quality that cannot be taught, is actually an outcome of using the right approaches and leaning on well built systems. Teachers are empowered by good structures and an understanding of the importance of following them to the letter. As I have said above, lots of schools don’t really put structures in place (which in my mind is utterly insane) but all is not lost. There are many things that you can do in your own classroom, and understanding what the cornerstones of good behaviour management are is the first step. It does sound a bit on the faddish side of things to use a phrase like ‘the three Cs’ to describe good behaviour management, but I’m just going to plough on anyway. Of all the information I have read, been told about and picked up from colleagues, these three things appear to me to be what underpin all good behaviour systems: clear rules, consequences and consistency. Sounds obvious, doesn’t it? But you might be surprised to learn that some schools don’t really have ‘rules’ as such, and if they do, they are often written down in a dusty policy document in language that outdates the Magna Carta. Nobody really knows what the rules are, so is it okay to arrive late because of the bus? Is it okay to wear foundation but not mascara? Is it okay for one child to call another ‘gay’? Nobody knows. Instead, we use our ‘professional judgement’. Unfortunately, Mr Chilled-out’s judgements are very different to Ms Strict’s, meaning that there is absolutely no consistency whatsoever. You can’t do anything about whole school consistency unless you are a member of SLT yourself. So instead of trying to launch a siege on the citadel, think about implementing rules in your own classroom. Once you have established your clear rules, you must make sure pupils know that rules are intrinsically linked to consequences. If they break a rule, no matter how small or insignificant, there is always a consequence. For example, if a pupil is not tracking you when you ask, he receives a demerit. If a child forgets a pen, he receives a demerit. If a pupil fails to hand in homework on time, he receives a detention. If there is no consequence, there is no point in having rules in the first place. And don’t worry about giving warnings, either. Rules ARE warnings. If you give them a couple of opportunities to misbehave before you actually call them on it, you are telling them it’s okay to behave in that way. This is by far the hardest one to crack. I still struggle with it now, as I’m sure many other teachers do. Being consistent is just so important, but it is really hard. It’s particularly difficult when your school doesn’t have any systems. So rather than logging behaviour on some kind of IT system and having it dealt with centrally, you have to spend hours rushing around after school phoning parents and liasing with colleagues trying to chase kids up. It’s exhausting, but it is worth putting the time in. Like I say, I’m still working on getting this one right. But whenever I quibble over whether or not to give a kid a consequence or to chase them up at the end of the day, I remind myself of something very important. I did not come in to teaching to massage the egos of children. I did not come in to teaching to make excuses for them or to allow them to behave poorly because of what they’ve got going on at home. I understand that the home lives of many of our children are tough. They undergo challenges on a daily basis that many of us might never have to deal with in a lifetime. But that is not an excuse; it is simply an explanation. We need to stop making allowances for poor behaviour and think about the lessons we are teaching that child in the longer term. Do we want them to leave school thinking that it is okay to ignore or swear at a superior? Do we want them to take no care over their work and to ignore deadlines? Of course we don’t. Every time we give a child a consequence we are teaching them these valuable life lessons. Some may find this approach unkind and unforgiving, but in reality, if we are to enable these troubled young people to flourish in their futures, we must teach them how to behave. In many ways, having clear rules, giving out consequences and being unwaveringly consistent, is the kindest thing any teacher can do for their students. What is truth? I don’t know: ask an OFSTED inspector. Times must be quite desperate when you have to resort to comparing the education establishment to an Orwell novel, but when it comes to OFSTED, there really is no other option than to keep calm, take a glug of Victory gin, and carry on. 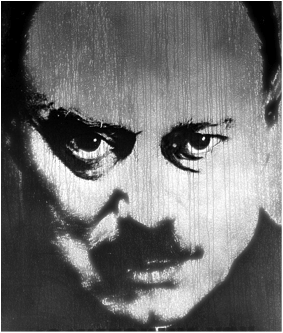 In the same way that people in Orwell’s dystopian nightmare have to gaze on helplessly as their rulers bend the truth to fit their own means, school leadership teams are at the mercy of the inspectors. Last week Oceania was at war with Eastasia and group work was best practice; this week, Oceania is at war with Eurasia and teacher talk is best practice. Of course, this will inevitably lead to nonsensical school policies, fads and gimmicks, but I think it raises a rather more troubling issue. Under OFSTED’s rule, governed by whims and guided by the ever changing tides of what supposedly constitutes ‘best practice’, we forget to focus on the objective reality that must exist somewhere in the universe. Instead of looking to answer the question ‘what really is best practice according to the evidence?’ we ask instead ‘what do OFSTED want?’ The presence of OFSTED and the continuance of their increasingly farcical regime mean that we completely sideline truth in favour of a couple of inspectors’ version of reality. Of course, you might be lucky when OFSTED pay a visit and be greeted by a fair and decent inspector who recommends that you do sensible things to improve your school, like implement a behaviour policy, for instance. The same inspector might be one of very few that have actually listened to Wilshaw’s advice and don’t favour particular teaching styles over others. This is the dream. In an ideal world, all OFSTED inspectors would be sane and good at giving recommendations that genuinely help to improve the school. In a recent inspection, I had the privilege of meeting one of these sane types, and had a very good experience as a result. However, as Andrew Old has catalogued at length in his campaign against them, many OFSTED inspectors still aren’t listening to Wilshaw’s claim that they ‘aren’t looking for any particular teaching style’. Many are still praising group work and condemning teacher talk, ignoring the instruction from their almighty leader and demoralising scores of teachers in the process. So yes, you might be lucky and have a good inspector, but you might be very unlucky and be subjected to the whims of an ‘ungood’ one. For instance, in a previous inspection I met with an inspector who told me that he knows a lesson is outstanding by ‘looking at the students’ eyes’. I kid you not. So OFSTED inspectors aren’t doing what Wilshaw is asking them to do. Yeah, yeah, what’s new? I think there is a deeper issue to tackle here. It doesn’t matter what OFSTED are looking for, good or ungood. At the end of every inspection a list of recommendations is made, and it is the contents of this list that schools will focus all their energies on until the next OFSTED visit. Schools are living in a perpetual state of reaction to the latest OFSTED recommendations. One minute they are being told to introduce more green elephant pedagogy into lessons, so they spend a year leading up to the next visit hammering green elephant pedagogy home in CPD sessions. The next minute a new inspector comes along and the school is told that there is a little too much green elephant pedagogy in lessons, and that some yellow giraffe pedagogy would help students to make more progress. And so the relentless cycle of panicked reaction continues. Yellow Giraffe pedagogy might be a ground breaking, cutting edge approach, or it might be something completely useless and arbitrary. Either way, it doesn’t really matter. Whilst we are wasting time trying to do what OFSTED want, we are no closer to answering the question that we probably should be trying to answer: what is the best way to teach? Even if the recommendations they make are sensible, they still become a box to tick. We don’t do what’s sensible because it is sensible: we only do what’s sensible if OFSTED tell us to. If all that’s required to improve our schools is to listen to an OFSTED inspector, then why bother looking to science for cutting edge research and thinking about the most effective ways to teach? I was fortunate enough to spend some time working at the DfE this summer. Whilst there, I was delighted to hear so many civil servants talking about ways to get more evidence based practice into schools. They had considered a huge number of barriers: teachers might find research inaccessible, they might not agree with the ethics of RCTs, they might want to engage with it, etc. However, as several teachers I was working with pointed out, one of the biggest barriers is OFSTED. Why bother wasting time investigating the most effective ways to teach if it’s not what the inspector wants to hear. We aren’t being held to account by research, and research won’t impress parents. Any recommendations that OFSTED make will show up in a school policy shortly after they have left the building, once again demonstrating that we are completely at the mercy of their whims. Schools are afraid to innovate; they can’t possibly deviate from what OFSTED have told them to do for fear of a bad report next time they pop in. Once schools have jumped through the many OFSTED hoops: good, ungood or otherwise, the time may come when a school achieves that coveted OFSTED ‘Outstanding’. No doubt that this will lead to a gradual increase in pupil numbers, improved teacher retention rates and better job security. This is the ideal world for schools: to be free from regular inspection and to finally have the space to think. Sounds great! I would like to know how it feels not to be faced with the constant threat of an OFSTED visit and subsequent doom. But is it just me that finds it deeply ironic that in order to achieve freedom we need to hand over all power to OFSTED first? I guess any pro-OFSTED readers might argue that they are supposed to support us in achieving the outstanding, and that when we reach that point, we no longer need it and so can be trusted to have a bit of freedom. But if you believe that, you’ve probably never been OFSTED-ed. So what can be done about this? OFSTED recommendations become another box to tick, regardless of how good or bad they are. They hold this power over Head teachers because Heads need to keep their staff in jobs and their schools open. So what to do… do we abolish OFSTED? Do we reform them? Do we appoint a new chief inspector? Who knows? Maybe they do. After all, they are the only power that does have any influence over schools these days. Their grasp keeps us tightly under control, chaining us to one set of ideas and shielding us from another until the time is right to make a switch. In OFSTED’s world, objective reality is set aside in favour of ever-changing advice. We continue moving up and down the road of distraction as we ignore the path that we should all be travelling down: the long and winding road that leads to truth. Even if we never get there, the pursuit of it has far more value than any other road. But will we ever be able to change course whilst OFSTED still exists? Who are we at war with again? Open book, read, tick, turn page, read, write comment, tick, tick, read, correct capital letters, tick, tick, correct spelling mistake, turn page, write comment, stamp, close book, next. Marking a set of books can make any teacher feel like Sisyphus, the Greek king condemned to a life of pushing a boulder up a hill, only to watch it roll back down again and repeat forever. We want to give every book our full attention, but getting it done to the level we deem necessary can sometimes feel like a task of Herculean proportion. And the worst part is, as soon as you’ve marked every class, the cycle is complete and you have to start all over again. We watch helplessly as the boulder rolls back down the hill, slowly stumble after it, and muster the courage to start all over again. Below is a photograph of one of the first books I ever marked, back in September 2011. I remember taking the set home after about a week in the classroom; I was eager to see how the kids had done and wanted to make a good job of it. I settled down, steaming cup of tea in one hand and fancy new red pen in the other, and cracked on with it. Five hours later, I was done. I marked thirty books, all of which looked a bit like this once I downed tools. Poor Jake: I don’t think he really deserved that. On Monday, I took the books into school and proudly distributed them to my students. I was expecting them to be overjoyed with the amount of feedback I had given them. I was a bit surprised when they ignored it and continued chatting to their friends about their respective weekends. I worked out that I had spent roughly 10 minutes on each book. After much coaxing and cajoling, I got the kids to answer their targets, which probably only took them about 2 minutes. That’s one heck of a ratio. 10 minutes to 2 minutes! I was spending five times as many minutes on their feedback as they were! My school’s policy stated that books should be marked once a fortnight. This meant that (as was always inevitable) I struggled to maintain the level of detail that I had started out with. I did my damndest, but something had to give. I ended up having to either mark in less detail or prioritise one group over another. It simply was not possible to mark all my classes in this way every fortnight. This, I realised, is the first problem with marking. We sacrifice frequency in favour of detail. Writing out detailed comments takes time. Providing students with detailed comments means that they won’t be able to get feedback very often. Most teachers will manage once every couple of weeks, but some (those who have families, other responsibilities, or exciting social lives) might not even make that. This means that when Jimmy does a piece of work on the first of the month, he might not find out how well he did until the fourteenth, by which time he has completely forgotten what the task was and might not really care how well he did. 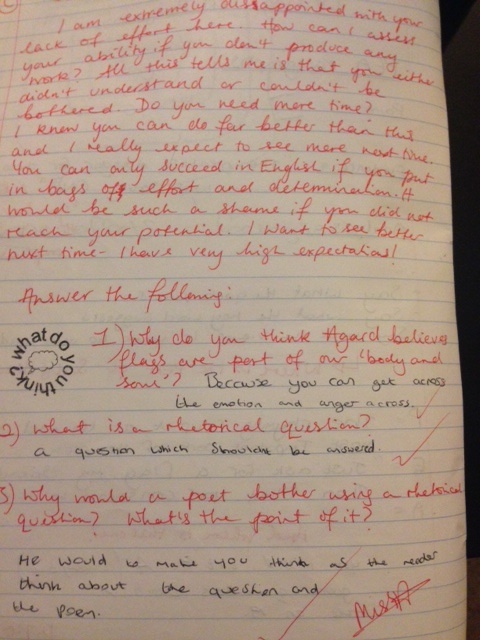 I kept up this marking routine for the whole of my first year. Marking became a behemoth. I hated it. I would spend hours procrastinating whilst a pile of year 9 books festered in the corner of my apartment. I would sigh loudly as I ticked and flicked. Marking was something I put off as much as possible and only really did because of the two-week turnaround policy. It became a tick box exercise, rather than a powerful way of helping my students to improve. Which brings me nicely to the second problem with marking. If we hate doing it, we don’t do a good job of it. When I was tired or had only just scraped through an utterly horrendous day, the last thing I wanted to do was pour over a set of graffiti-adorned exercise books. I would either put it off a day longer, or do a poor job of it, not really paying enough attention and not giving very meaningful feedback. I felt pretty ashamed about this. I thought long and hard about how I could do a better job of marking. This post offered a fantastic solution: use icons to save time, set targets and help them improve. Last weekend, Joe Kirby wrote an excellent blog post detailing a method that hopes to reduce the effort and increase the impact of marking. Rather than seeing marking as a task akin to Sisyphus’ boulder, Joe perceives it to be a low effort strategy that, like the flapping of a butterfly’s wings, has the potential for enormous impact, no matter how insignificant it may at first appear. After a lot of soul searching and contemplation, I adapted the icon approach to something that I felt happy with. I kept Joe’s simple litmus tests in mind (that marking must be timely, regular and actionable) and came up with my own speedy system that cut down the time I spent marking, made it worthwhile for the pupils, and was a bit more palatable at the end of a hard day. After every lesson, I take all my students books in. I read the work they did that day and I draw a coloured dot in their exercise book. A red dot means they didn’t understand at all, a yellow dot means they have understood parts of it, but haven’t quite mastered it, and green means they have mastered it. It takes me no more than 30 seconds to mark each book. That’s roughly 15 minutes per set- a huge time saver! A little coloured dot may not seem like much by way of feedback, but it serves two extremely important purposes: firstly, the students can see how well they did in the previous lesson, which is extremely motivating and helps them to see if they are on track. Secondly, it provides them with an opportunity for DIRT (Dedicated Improvement and Reflection Time): a low effort strategy with high impact. At the beginning of the next lesson, the kids get their books back and immediately turn to see what coloured dot they got. They then answer a ‘coloured dot question’, which is on the board. They answer the relevant question for their colour, which usually takes them about five minutes. I can now mark every lesson with no worries. But have I simply flipped the problem on its head and devised a situation whereby I am sacrificing detail for the sake of frequency? I don’t think so. Marking every lesson means I see into their book every day: they get feedback on every single piece of work that they do and are constantly acting on it. The ‘coloured dot questions’ bridge the gap between the previous lesson and the next, allowing them to deepen or consolidate prior knowledge and prepare them for new knowledge. Some people have asked me about how I give specific, focused feedback to those who need it. I make a note of all the pupils who get a red dot and make sure that I spend the first few minutes of the lesson with them, addressing any misconceptions and talking them through the answer to the red question. If they still struggle, or repeatedly get red dots, they come back to me at lunchtime and we discuss it in more depth. In September 2011, my ratio of marking time to pupil response time was about 10 minutes to 2 minutes. Now it’s 30 seconds to 5 minutes! I think my marking has far more impact now than it used to have, and I really don’t see it as a chore any more. If anything, it has now become so integral to my job that I don’t think I could teach without it! 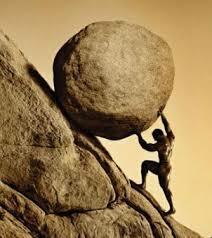 Marking should be a butterfly, not a boulder. Low effort, high impact strategies save time, help to motivate pupils and improve the quality of the feedback they get. So leave the boulder at the bottom of the hill and start making butterflies!